Almost daily, someone tells me about his or her amazing app idea. It will blow up into something huge, gain millions of users and make millions of dollars. All with word-of-mouth marketing. That enthusiasm makes sense, really. Apps are massive right now and show no signs of slowing down. Developers make billions of dollars in the app store every year, so people naturally chase any idea that could get them a piece of the new gold rush. The “big app” idea is the easy part: Get all excited, and then sit back like you’ve got money in the bank earning interest. The reality is a bit more harsh. If you really want an app of your own, you have to put in the work. Before you start your journey, here are some industry secrets you need to know. 1. There’s no such thing as an overnight success. I’m sure you can find an example of something that literally became the biggest thing ever in one day. Know that it’s the exception, not the rule. These so-called “overnight successes” usually take a bit of time to start. Running a business as big as Facebook or Snapchat doesn’t just happen when you click “launch” on your app. It took Periscope over a year, and that’s still pretty fast. Your tech has to be solid and able to withstand millions of users all day, every day. Your legal has to be in place. Customer support has to be prepared. And don’t forget our friend, cash on hand. You’ll likely need fluid assets in the bank to keep it all running smoothly. In reality, growing over time gives you a chance to spot and fix problems in your tech, process and everything else — before too many eyes are watching. Trust me, it’s easier this way. Plus, you’ll stand a much better chance at keeping your success when you get it. 2. Most apps aren’t as big as Facebook. I can’t overstate this enough: That’s a good thing! Most successful apps aren’t making millions or billions. But that doesn’t mean these apps aren’t making some serious bank. A six-figure payday is awesome for a startup app. And I probably don’t have to convince you that an app doing around $100,000 a year will be more manageable than a giant like Facebook. 3. Most empires contain multiple apps. The reasoning is simple: If you can make an app that earns $10,000, $50,000 or $100,000 a year but takes minimal time to run and maintain, you have what is called a lifestyle business. You might remember the golden goose Tim Ferriss introduced to the masses. He called it The 4-Hour Work Week. Once you succeed with a lifestyle app business, you realize you probably can do it again and again with other ideas. This is precisely how everyday people make it big with apps: a small company of one to four people doing things their own way, working from the beach while making $100,000 a year with six different apps. Those who want to go for the billion-dollar apps and live on the front pages can still do that. Even Google and Facebook have a ton of apps to their names, all funneling revenue to the mother ship. 4. Multiple streams of income are good. This might sound like a given, but you’d be surprised by how many companies ignore this for way too long. Your apps can make money in many ways. Do you want to charge 99 cents to download your app? Or make the app subscription-based for $9.99 per month? How about selling upgrades from inside the app? Will you sell your data? Or use your app to leverage partnerships that make you money? Those five questions translate into five ways apps can make money. Most apps will follow one avenue — or none. When you build your app, plan on making money with it. 5. You need more than word-of-mouth. Word-of-mouth is a tremendous way to get downloads. It’s also unpredictable and mostly uncontrollable. It can’t be your only marketing weapon. How else will you get the word out about your app? Content marketing? Partnerships with others in the same space? Ads? I wish everyone could make it big with referrals alone, but that isn’t the reality. You need a backup plan. 6. You don’t need to code it yourself. 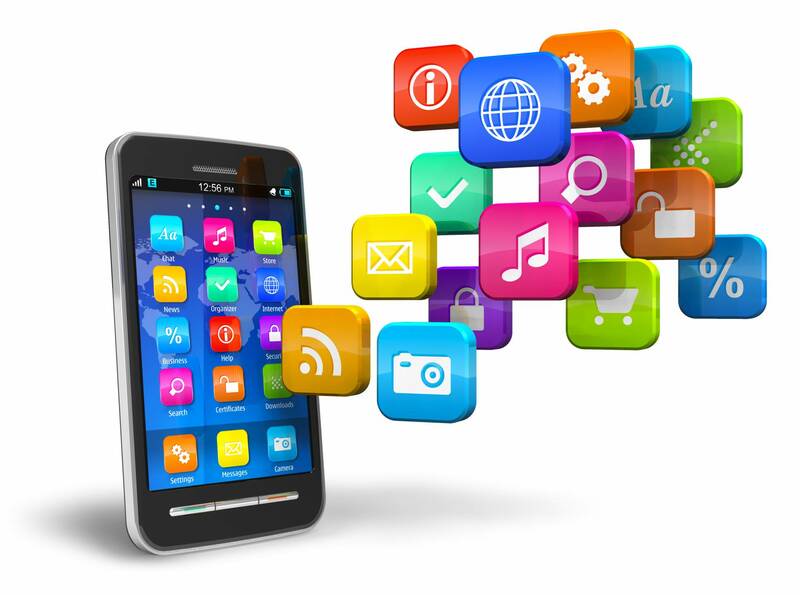 You must be a developer of sorts to learn mobile-app development quickly. If you’ve never written a line of code before, why on earth would you build this yourself? Get a professional. If you plan your app properly, it shouldn’t cost you much money at all. The best part: It will actually get built, instead of stalling at the idea stage. 7. You don’t need cofounders to start. It might seem as if cofounders will help move things along and make your life easier, but that isn’t always the case. Nothing kills a business quicker than a founder disagreement. Cofounders can flake out. And if they do, you’ll be out 20 percent or more of your company, with nothing to show for it. No one will care as much about this as you. If you go it alone, without any cofounders, a single force drives your vision forward. 8. It’s much easier when you have help. Going it alone doesn’t mean you’ll be completely on your own. Consultants, coaches, books and online courses all exist because someone made it through a similar experience and solved some of the same problems you’ll face. Take advantage of these resources. It’s like having a mentor hold your hand the whole way through. 9. Going viral is all about work, not luck. This one is tricky. Some things will go viral for no apparent reason. That’s the nature of the beast. But you can set up some degree of control. If you speak to one person on a topic he or she is passionate about, that person is more likely to share the information with others. The more it’s shared, the greater the chances of like-minded other someones seeing and sharing the content in their own networks. That’s viral marketing in a nutshell. 10. Perfection is a myth, and it will crush you. In technology, there’s no such thing as perfection. Some bug inevitably will pop up or some feature will be left out or forgotten. And it will be something that embarrasses you. Don’t worry about it. That’s the nature of tech, and no one cares about your app like you do. They care about it solving a problem. As long as you solve that problem, people will live with missing features or bugs. We all do it every day. Entrepreneurs who know these little secrets can properly plan for the future, they won’t be surprised if something doesn’t go exactly as planned. Chances are, you already understand that nothing unfolds precisely the way you thought it would. It’s all about starting and pushing forward until you hit the benchmark that represents success on your own terms. Want to learn more about Steve? Check out his company,Startup Black Belt, where he helps tech startups launch, grow and scale. Grab his Startup Series — a free “mini-course” designed to help you successfully launch an app in record time.